The Union Home Minister Shri Rajnath Singh has said the Ministry of Home Affairs will undertake steps to integrate the various organs of the Criminal Justice System such as the Police, Courts, Prisons, Prosecution, Forensic Laboratories, Finger Prints and Juvenile Homes with the Crime and Criminal Tracking Network & Systems (CCTNS) database. Launching the Digital Police Portal under the CCTNS project here today, he said this Interoperable Criminal Justice System (ICJS) will be a useful resource for all stakeholders including the policy makers. Shri Rajnath Singh said the Digital Police Portal will enable citizens to register FIRs online and the portal will initially offer seven Public Delivery Services in 34 States & UTs, like Person and Address Verification e.g. of employees, tenants, nurses etc, permission for hosting Public Events, Lost & Found Articles and Vehicle theft etc. Besides, the portal will enable restricted access to law enforcement agencies on topics such as Antecedent Verification and make assessment of FIRs. Shri Rajnath Singh said at present out of the 15,398 Police Stations under the CCTNS project, 14,284 Police Stations are using CCTNS software. Out of these 14,284 Police Stations, 100% FIRs are being generated under this software in 13,775 Police Stations. The Union Home Minister said the pace of implementation of the CCTNS project is satisfactory in all States. He said that out of 15,398 Police Stations across the country, connectivity is enabled at 13,439 Police Stations. Out of 36 States/UTs, 35 States/UTs are sharing CCTNS database containing seven crore records that includes 2.5 crore FIRs, he added. Shri Rajnath Singh said the MHA has released Rs.1,450 crores, out of which Rs. 1,086 crores has been spent by States/UTs. The Union Home Minister said the CCTNS portal will provide investigator the complete record history of any criminal from anywhere across the country. He said the software offers Google-type Advance Search engine and analytical reports. Shri Rajnath Singh said the portal offers 11 kinds of search and 44 types of reports. Recently, the software was used to trace few mentally challenged women from Tamil Nadu in Uttarakhand and reunited with their families, he added. Ministers of State for Home Affairs, Shri Hansraj Gangaram Ahir and Shri Kiren Rijiju, besides Director, Intelligence Bureau, Shri Rajiv Jain, DGs of CAPFs and Senior Officers of MHA and NIC were present during the function. Speaking on the occasion, the Union Home Secretary Shri Rajiv Mehrishi said the CCTNS portal will form the backbone of the Criminal Justice System and this database will be subsequently linked with the Ministry of Road Transport and Highways (MORTH) database on vehicle registrations. Addressing the gathering, the OSD, MHA, Shri Rajiv Gauba said the CCTNS portal will be a huge game changer, force multiplier and revolutionize the way Police works in the country. He laid stress on the data accuracy and completeness of the database to make it a success. 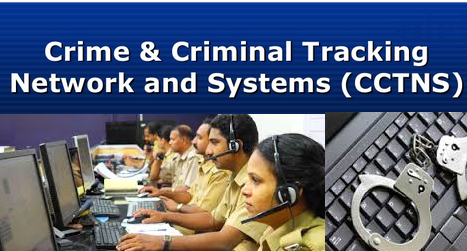 Ministry of Home Affairs will undertake steps to integrate the various organs of the Criminal Justice System such as the Police, Courts, Prisons, Prosecution, Forensic Laboratories, Finger Prints and Juvenile Homes with the Crime and Criminal Tracking Network & Systems (CCTNS) database.